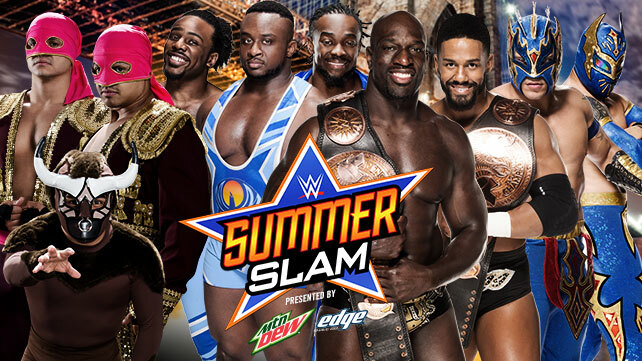 It's the biggest party of the summer, but WWE NXT just had a pretty big party last night...so what exactly does SummerSlam have in store for us tonight, let's run down the card. 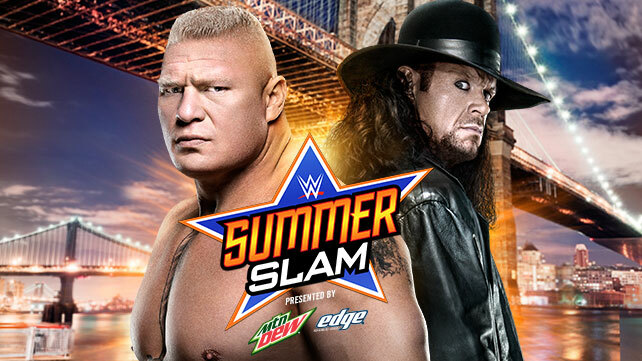 Promoted heavily on WWE television over the last five weeks, I'm still not completely sure how to feel about the upcoming rematch between Brock Lesnar and The Undertaker. Like many, I wouldn't place myself as a fan of their WrestleMania 30 encounter, and whilst Undertaker seemed to be back to at least something resembling his former self at this WrestleMania, I'm still not exactly sure what we're going to get when the bell rings tonight. Brock Lesnar surely has to win this one and finally put his feud with The Deadman to rest, as a loss to the fifty year old WWE legend would surely take a large chunk off of the aura WWE have built for Lesnar over the last 18 months. For me this sets the wheels in motion for Undertaker in be inducted into the Hall of Fame and have one last match at WrestleMania in Texas. I also wouldn't be surprised to see a screwy finish here, with perhaps a run in to set up Taker's match at WrestleMania. John Cena and Seth Rollins have proven that they are capable of working very well together in the ring on numerous occasions (most recently on 27th July episode of Monday Night RAW) and I expect this bout to be no different under the bright lights. Cena is coming off a blistering series off matches with Kevin Owens, that sure Cena add a number of moves to his arsenal, hopefully we'll get a few more little treats out of Cena here, with Rollins also known for his creative offence. I'm expecting a match of a similiar style to Cena's bouts with Owens, perhaps with a little more of sport-entertainment spin. This is one of the most unpredictable matches that WWE has put on in recent memory, as with having both the World Heavyweight and United States Championships on the line, the company have given themselves a number of different routes to go down. Part of me thinks we may very well see both men walk out of SummerSlam with the same titles they walked in with, after some convoluted finish. There's also a strong possibility of a Money in the Bank cash-in from Sheamus here, but I'm not going to sit on the fence with my prediction...there is no real rhyme or reason to it though. Prediction - Rollins retains the WWE World Heavyweight Championship and unifies it with the United States Championship. Give this match time and you've got a show stealer on your hands. Will WWE give it enough time, I'm really not sure. Two tremendously talent wrestlers who have both been making a lot of noise over the last couple of months, a win here for either character puts them in a great place heading towards Survivor Series in November. For me, it makes much more sense for Cesaro to come out victorious, due to Owens competiting in ladder match last night, however WWE may be reluctant to have Owens lose two big matches in a row. Expect plenty of hard hits. 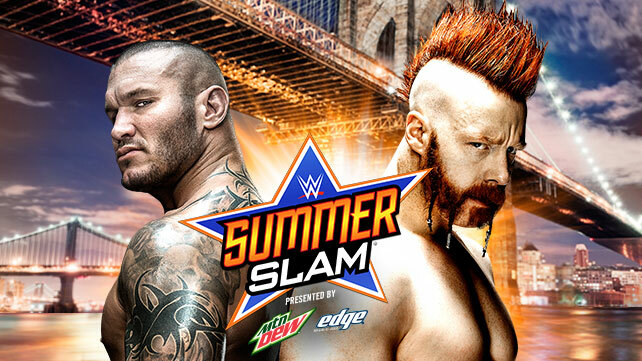 I like Randy Orton, I like Sheamus, this will be a good match...I just don't care about it. These two have had numerous matches over the last year and they've all been acceptable, but there's nothing for me to get particularly excited about, because I can't see this one being much different from any of their other bouts. This would have been the perfect match on the card to slap a gimmick on, even if it was just No Disqualification. Sheamus took the fall at Battleground, so WWE's even-steven booking strategy would suggest that Sheamus takes the W here. The Shield vs. The Wyatt Family was bloody excellent, wasn't it? I'm not expecting this to reach the heights of that trilogy, but I am expecting these four to put on a very favourable tag team match. There's plenty of talent here and we know that these four workers have all worked well with each other in the past. 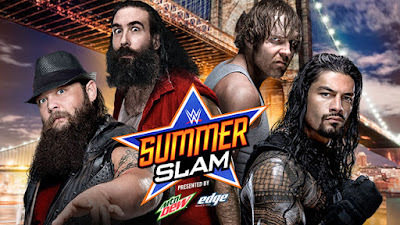 There's the nagging thought that we could see some kind of angle between Dean Ambrose and Roman Reigns, but at the same time there's the idea that we may see a new Wyatt Family member crop up here, as well. I'm expecting shenanigans at some point of another. Prediction - Dean Ambrose & Roman Reigns win. 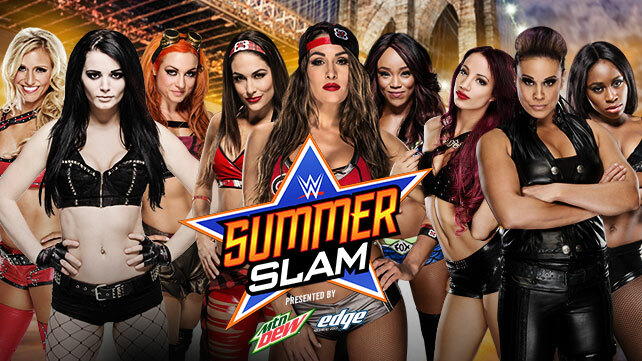 If WWE wants to prove that they are truly having a "Diva's Revolution" then this match goes 20 minutes and tears the house down. The talent is in there to be able to do a spot-heavy match, that still tells a strong story, it's just whether WWE wants to show off that talent. Team Bella should be the first team eliminated, as it's the most interesting route to go down heading out of the show with the other performers vying for a chance to dethrone Diva's Champion Nikki Bella. It'll also allow some of the stronger performers in the match to shine (okay, let's ignore Tamina). I'm hoping for positive things, but I'm not expecting them. Boy, did WWE want to present us with this Triple Threat or what? This feud has been bubbling since Ryback won the title at the end of May and still it hasn't made me want to see this match. It's just a strange combination of guys to put in a Triple Threat, isn't it? I don't even know. 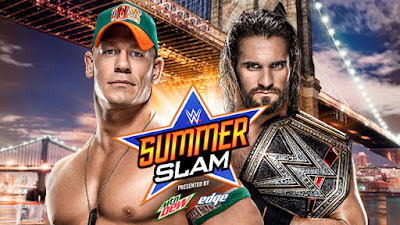 I'd love someone in WWE creative to explain the thought process they had when putting the match together. TAG TEAMS! TAG TEAMS! TAG TEAMS! TAG TEAMS! WWE continues the trend off refusing to build a tag team feud for a major PPV and opts for a funky four team bout instead. Just like all other incarnation of this match (with pretty much rotatable teams) I'm sure this will be a lot of fun with cool spots and a quick pace, but I'd much rather see two teams that hate each other battling over the titles on a big PPV like this one. Can't see the Prime Time Players dropping the titles here, just because no one else seems quite ready to take the straps away from them. Arrow star Stephen Amell has bought a valuable deal of buzz to this match, which is fine by me as it allows the spotlight to be shared with three guys who otherwise may have been completely lost on this card. I'm much happier with this one being a tag team match, rather than a straight up singles bout between Amell and Stardust because it will allow for limited involvement from Amell and make sure that when he is involved it means something. Barrett doesn't really have a place in the match, other than that he had a fued with Neville a while back, but hey ho. Ten matches on this show mean that we should see a lot of wrestling over the extended four hours and some of the match-ups would suggest it's going to be of a high quality. I'm most looking forward to seeing the World Heavyweight/United States Championship match and Cesaro vs. Owens, but there's a lot throughout the card that should provide a good variety of in-ring action for this. The thing I like most about this going in, is how hard this card was to predict, there's a lot of matches that could easily go either way, which should make for an exciting product. Best of luck to all the performers and WWE staff working on the show and I hope that everyone at home has a great evening also. Enjoy ATPeeps.